Hedgehogs typically live two to three years in the wild. The most common cause of death in the wild is due to predation rather than age. Various resources report a relatively wide range in the maximum life expectancy of hedgehogs kept as pets. Hedgehogs can live up to 10 years in captivity, but those hedgehogs are few and far between. A 10-year-old hedgehog would be as rare as 104-year-old grandma. Some believe the hybridization of the Algerian and White Bellied species resulted in a more resilient hedgehog that lived longer. After several generations, hybrid offspring’s longevity began to more closely compare to the original bloodlines. This is called the Founder’s Effect and can be seen in other animals as well. A 5-year-old hedgehog is about 76 in people years, so if your hedgehog lives 5-7 years it has lived a full life, but five years is longer than the national average. Ideally, hedgehogs will live 5-7 years, but the study mentioned above indicates the average pet lives less than the ideal life span. Many factors contribute to the overall health, well-being and life expectancy of a hedgehog. The general nature of hedgehogs certainly plays a significant part in a hedgehog’s lifespan but other controllable factors also contribute to the longevity of pets. Quality breeders make a conscious effort to selectively choose their breeding stock and undertake a responsibility to produce healthy, long-lived animals through proper breeding practices. Characteristics of potential breeders are chosen with their breeding goals in mind along with diverse ancestry in their pedigrees. Conscientious breeders carefully select their breeding stock in hopes of producing long-lived animals. Unfortunately, there are no formulas or genetic testing available to breeders that will predict the vitality and longevity of any particular animal or breeder pairing. Longevity has a genetic component that is comprised equally of genes from both parents. Methods and styles of breeding can be debated at length and are a hot topic in the production of any animal. Cross breeding, line breeding, and even some in-breeding practices have merits and downfalls. Careful selection of breeding stock is not only beneficial to the breeder but to their customers as well. Unfortunately, reproduction is a gamble with living things. Congenital birth defects can happen at any time without warning and genetic trends in bloodlines may take years to show or develop. The combination of genes from parents to prodigy is a great mystery until the offspring is produced and has had a chance to grow and thrive. By the time the offspring is an adult, its parents are usually out of, or close to being out of, production, therefore increasing the complexity to breed for or against certain traits. Buying from a breeder who is knowledgeable in this area and concerned about the animals they produce is important but certainly not a guarantee to longevity. We offer a one-year health guarantee for congenital defects and for cancer, a two-year guarantee for nutritional deficiencies and for Wobbly Hedgehog Syndrome. Please read our full health guarantee for more details. We require a necropsy report stating the cause of death falls within our guarantee. Diet is a key variable that can increase or decrease the life of your pet. All living things need the proper balance of nutrients to maintain and a healthy life. Animals with poor or bad nutrition will not grow and develop as well as animals fed a nutritionally sound diet. These animals are at risk for diet related illnesses, and are less resistant to other diseases or opportunistic pathogens. As in human diets, there is not one certain diet that is perfect for all breeders and all animals. Some foods are considered better choices of foods than others. Breeders choose diets that they find is a good fit for their herd, which is not necessarily what works best for other breeders and their animals. Our Nutrition Overview describes some hedgehog foods and treats that can be dangerous or harmful to your pet. Our Diet Recommendations will help guide you to choosing a nutritionally sound diet plan for your hedgehog. Unfortunately, the best hedgehog diet is still unknown. Some hedgehogs have been known to live a relatively long time on what most would consider a poor diet. Other hedgehogs can develop diet related illnesses on what many would consider a nutritionally sound diet plan. The best diet plan is one that has been proven effective on a large number of animals over many years. 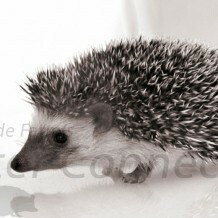 We use and recommend Spike’s Delite Ultra Hedgehog Food. To purchase more food order direct from www.pet-pro.com and use their online shopping cart or call direct at 1-877-977-8310. Be sure to use us as a referral so that you can save 10% off each order. Water varies on taste and smell by source. Hedgehogs may have difficulty adjusting to changes in water from its original home to its new home. The use of bottled water or filtered water will lessen the change between homes and may encourage your hedgehog to drink more water. Water bottles and/or dishes may vary between homes and young animals may have difficulty locating their water source. Until a hedgehog develops a preference in its new home it is best to have both options available to your hedgehog. Animals that do not drink enough may dehydrate and are not likely to eat. Dehydration and refusal to eat are life threatening and should be closely monitored. We use a commercial automatic watering system so it is especially critical that both a bottle and a dish are offered in new homes. Hedgehogs in the wild are known to travel great distances in search of food. Many captive bred animals will log many miles on their wheel each night. The benefits of exercise in humans and other mammals in helping to prevent obesity and obesity related health problems has been tested and documented through countless research studies around the world. Simple things hedgehog owners can do to promote exercise are to provide ample cage space, a wheel, and play time out of the cage. Hedgehogs that receive plenty of exercise are likely to be healthier and happier pets. There are some potential problems that can arise when animals and humans exercise too much. Studies have shown in humans that extreme athletes are known to have stress damage to the body due to exercise. It is possible that hedgehogs that spend a significant amount of time on the wheel every night may have excess stress on their bodies as well. For hedgehogs that spend an unusual amount of time on the wheel, we recommend regulating “wheel time” to time outside of the cage or every-other-night free access to the wheel. Please make sure that your hedgehog doesn’t climb the sides of the cage. If it does a quick fix is to use cardboard and duct tape. A more appealing approach is to line the interior with heavy vinyl tablecloth material found at most stores that sell fabric. We secure it with clear packing tape. Hedgehogs are relatively close to the ground and are in constant contact with their bedding. Keep in mind a hedgehog’s nose is only a mere inch or so off its bedding at any given time. The air a hedgehog breathes can be quickly contaminated by its bedding. Soft wood beddings such as improperly cured pine and cedar contain aromatic hydrocarbons that are known to cause respiratory and other illnesses. Dusty or other aromatic beddings can also lead to respiratory problems. Many types or brands of beddings are labeled as “safe if ingested” but this is true in only in small amounts. Hedgehogs have been known to eat unusually large amounts of bedding especially when switching brands or types of bedding. Ingested bedding can lead to impactions or other complications. Please avoid pelleted bedding for young animals as they have a tendency to eat things that are new to them. Some bedding choices can cause skin irritations or allergies, which can result in secondary infections. Dirty or unkempt cages are dangerous because of the buildup of ammonia and the increased risk of bacterial contamination. Improperly stored or handled bedding may contain mites, mold, bacteria or other pathogens. Our Bedding guide is a thorough review of the various types of bedding commonly used in the hedgehog community. The most common forms of bedding are wood products, paper products, and fabric liners. Unfortunately the perfect bedding has yet to be found, but your pet will certainly benefit from a wise bedding choice. One of the most common causes of accidental death with hedgehog is false hibernation due habitat temperatures that are too cool. Hedgehog breeders across the country and around the world recommend slightly different acceptable temperature ranges. Some suggest that a minimum temperature of 68°F is acceptable, however this temperature is very close to dangerous coolness. One of Shelly Fowler’s customers, at Beach Bum Hedgies, had the unfortunate loss of a hedgehog through false hibernation at 65°F. We believe it is critically important to make sure your hedgehog is very warm, especially in winter. We have found that a 150W ceramic heat emitter is an excellent heating option. A simple greenhouse thermometer (found in most hardware departments) will monitor the temperature and can alert you if the temperature is not within the set temperature range. Please follow all manufacture’s instructions when using electrical products. Like humans, animals that are happy and have less stress tend to be healthier and live longer. Studies show in both humans and animals that happiness is one key to a long and fulfilling life. Stress can be caused by a variety of reasons so it is important to understand the general nature of hedgehogs in order to provide the best environment for them. Certainly some level of stress is unavoidable but constant stress is certainly not good for animals or humans alike. Signs and symptoms of stress can include “nervousness”, “grouchiness”, or change in stools. Hedgehogs have extremely good hearing so sounds that we don’t notice may be extremely noxious to your pet. Ways hedgehogs are handled can also be stressful. Not all hedgehogs make good classroom pets or educational animals. Unfortunately some owners abuse their pets without realizing their cruelness. I doubt any hedgehog enjoys being rolled like a ball but sadly this has happened to countless hedgies because their defense mechanism allows it. Attention and environmental enrichment will both contribute to increased happiness and better health. Animals that are left alone with little care or attention and in a small space are less active and tend to have more health complications. We recommend holding your hedgehog for a minimum of 30 minutes per night and a maximum of 4 hours per night. They can be out of their cage longer, but need time to explore and run. Animals that are handled daily are more likely to remain sociable and can be more easily examined for minor problems that need attention before they become severe. Accidents or an injury can happen even with the best of care or safest of conditions. The most common accidents are falling injuries. Hedgehogs are not afraid of falling and are usually quite safe but injuries can occur when falling from hands, off a table, chair, or bed. Climbing up the sides of their cage can also result in injury. Sometimes the damage resulting from a fall, accident or injury may not have immediate results but can cause internal damage undetected by the naked eye. The bottom wire of wire-sided cages can be covered to help prevent the hedgehog from falling. Heavy vinyl, clear floor-coverings, cardboard, chloroplast (corrugated plastic), plexiglass, and lexan all make good cage lining materials. Hedgehogs can also cause themselves harm by eating things that can be toxic to them, getting lost or trapped outside their cage, or injuring themselves within their cage. Choosing cages and accessories wisely as well as supervising all play will certainly help decrease the chances of problems, but sometimes fluky accidents happen. Animals and people alike are exposed to bacteria, parasites, and other potential pathogens throughout our daily lives. Strong immune systems, washing hands, eating healthy, and practicing good hygiene all help ward off disease and illness. However, at some point in our lives and our pets lives, illness is likely to occur. Each animal and person has their own normal flora of bacteria on and in their body. When new bacteria are introduced or if normal bacteria exceeds its safe range, illness is likely to occur. Many of the same diseases or illnesses that are common to humans are also common to hedgehogs. Respiratory infections, urinary tract infections, cancer, and digestive disorders are all possibilities. Small animals such as hedgehogs often hide illness until they are severe. They do this as a method of self-protection from predators. Small problems can quickly turn life threatening if left unattended. First signs of your hedgehog being sick can take days or weeks to show up. Be proactive. Keep a close eye on what your pet’s stool looks like and weigh them weekly. Scales are relatively inexpensive and can be picked up at most retail stores and grocery stores. The general rule of thumb with any medical care is that it is much easier to treat a small problem than to treat a large problem. Obviously, hedgehogs can’t communicate the way we can and may even hide early signs and symptoms of illness. Sick or injured animals are easy prey for other animals, so most animals have adapted to hiding their problems. Changes in behavior are usually the first sign that something may be wrong. We strongly recommend well-pet visits 2-4 weeks after obtaining your new pet. Your pet should be comfortable with you and easily handled so that it can be examined more thoroughly. Building a rapport with your vet and having a plan for emergencies will greatly increase your chances of successful treatment. Waiting until you have an emergency or until your hedgehog is very ill is not the time to start your search for a veterinarian. A quick check in the beginning may save your pet’s life. Annual well-pet visits are also recommended because a trained veterinary professional may be able to spot a problem that may be unnoticed by the average pet owner. Do you treat hedgehogs and how much does a well pet visit cost? How much does an emergency pet visit cost? Not all veterinarians will treat animals on an emergency basis. How much is a mite treatment? Mite treatments can range from $25 to $200. Experienced practitioners can treat most cases of mites quickly and effectively. How much is a necropsy report? Again, necropsy reports can range in cost from free to well over $200. A necropsy report is required to fulfill most health guarantees. It is a good idea to provide your veterinarian with your breeder’s health guarantee. When people start to feel sick they can begin taking action to start healing. For instance, some of the first signs of a urinary tract infection are frequent urination and pain while urinating. When a person begins to notice these signs, some people are able to ward off the infection by drinking lots of cranberry juice and others visit their doctor and receive a prescription for an antibiotic. Early detection and treatment can prevent much more serious and even more painful problems. The first sign of a urinary tract infection in hedgehogs may be a change in elimination habits. This subtle clue may be missed by all but the most attentive hedgehog owners, and not all changes necessarily indicate a problem. A urinary tract infection in hedgehogs is also relatively simple to treat, however, as the infection spreads through the hedgehog’s system, it becomes much more dangerous and difficult to treat. An infection that is relatively common and easily treated can become dangerous and even life-threatening if not detected at an early stage. Breeding a female greatly increases the risk of health complications and may even result in death. Complications can occur at any point from breeding through the nursing process. Breeding is a stress on the hedgehog’s body. When the hedgehog’s immune system is down, opportunistic infections can occur. Certainly having babies is a natural process and necessary for perpetuation of the species, but one must be prepared and aware of the risks when undertaking this challenge. As with human longevity, many factors help determine why some pets live longer than others. Choosing a good diet and housing as well as providing love and attention to your pet will certainly help to extend the life of your pet. Our Aging Hedgehog guide is designed to help you recognize and deal with many of the process and problems that can occur with aging. Losing a pet is never easy, but is inevitable in the circle of life. We encourage you to document your hedgehog’s life with pictures and writings of the fun and enjoyment you had with your pet throughout its life.